I enjoy learning and using new stamping techniques, finding news looks for my stamps. This is one of the Hero Arts cling stamps in my collection, called Flower Corsage, I will never be tired of. 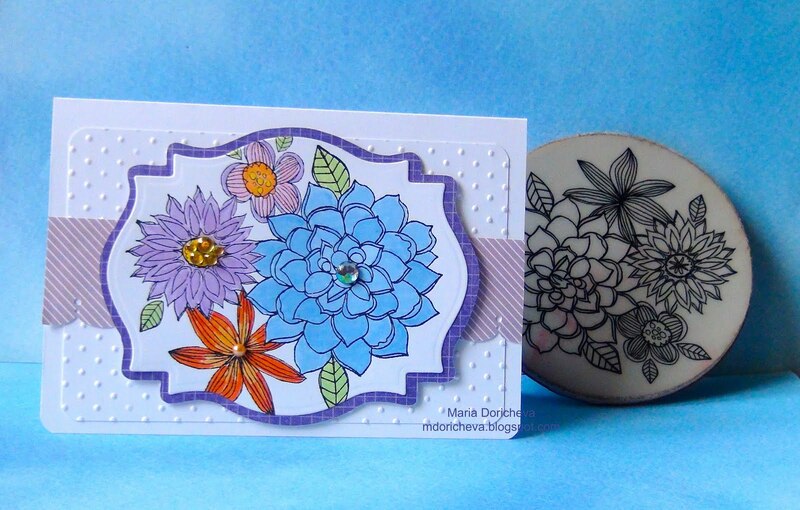 I enter this card into the Ellen Hutson LLC Hero Arts 2013 Take'n Make - Cling Stamps challenge. Looking for best color combinations using markers. The same stamp, but using distress inks, water and a brush to color the image. Here're two of my old cards. 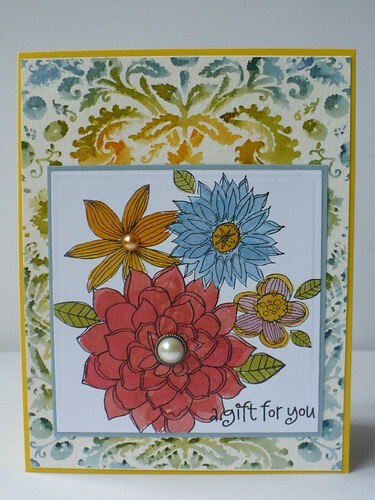 For this card colored the stamped image with distress inks using a brush and water. For this card I clear embossed the image and freely applying distress inks using ink applicator. Very quick and effective. Maria, thanks for your comment on my Etsy shop. You are so kind. 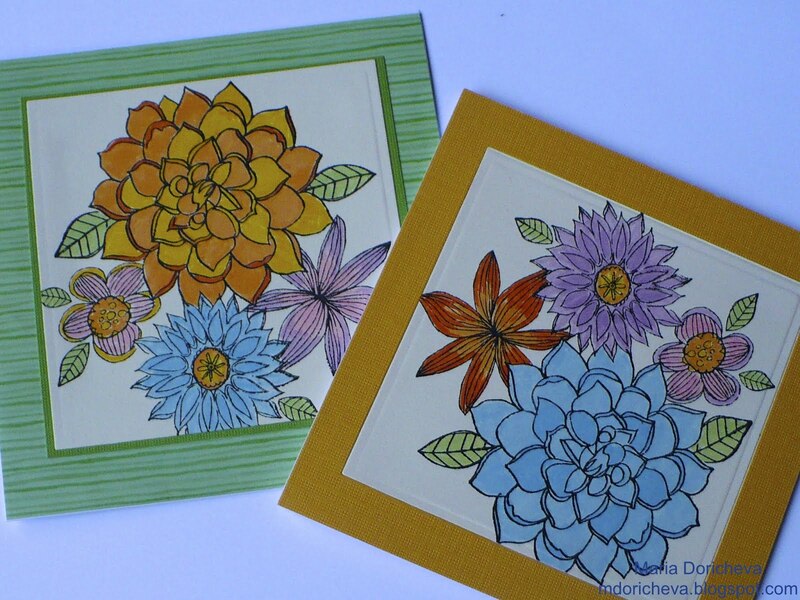 I love the look of these cards, the colorful vibe would make anybody happy to receive them!